Are you looking for a beautiful way to share the memory of your loved one? 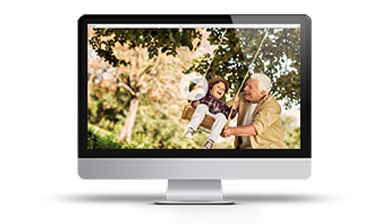 We can create a one-of-a-kind video tribute by combining family photographs with cinematic introductions, the music of your choice, and professional effects in order to share your loved one's special life journey during their service. 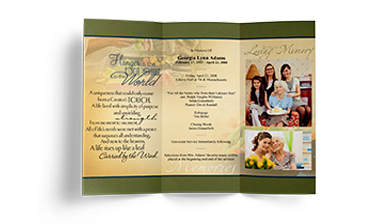 Life Tribute Videos also provide your family and friends with a meaningful keepsake long after the ceremony is over. 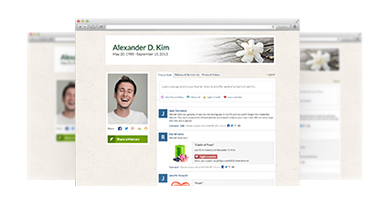 Our Tribute Wall is a permanent virtual tribute you can return to whenever you'd like to revisit memories and reconnect with messages of support and love from family and friends. Guests can leave text comments, videos or audio message to share condolences and offer words of support, and when words aren't enough, there's an option to leave meaningful symbols. The Celebration Wall also allows guests to view obituary and service information and order sympathy flowers directly from the site. From the register book and memorial folders, to prayer cards and thank-you notes, our high-quality stationery sets are available in over 500 themes designed to honor your loved one's hobbies, style, and unique life path. Let us help you explore the options and choose the perfect design to create treasured keepsakes for you and your guests. It is just one extra way to personalize the service and add extra touches specific to your loved one.